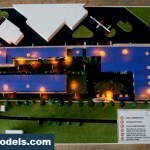 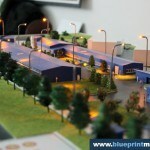 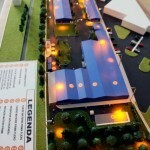 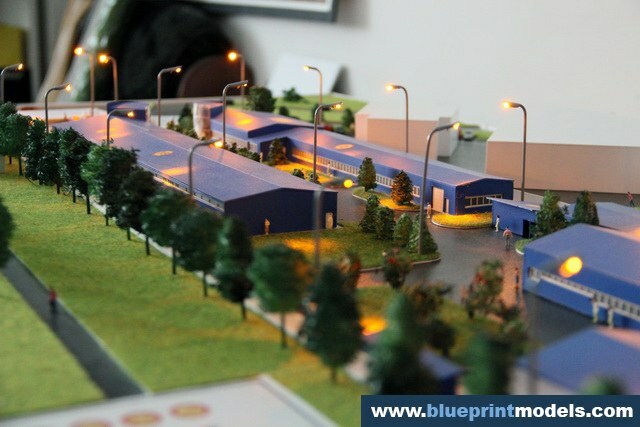 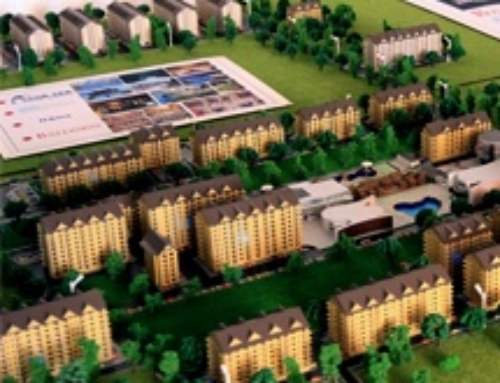 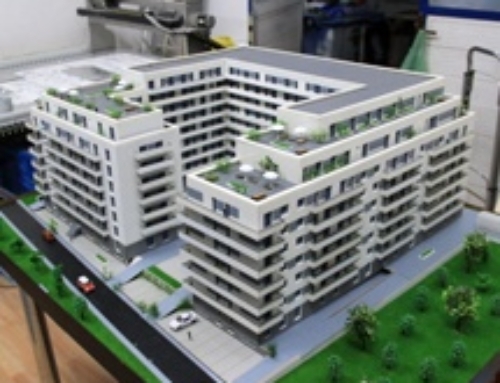 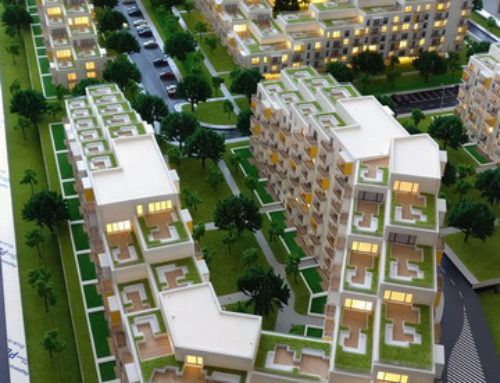 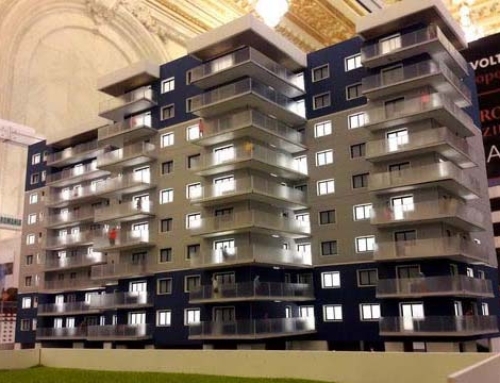 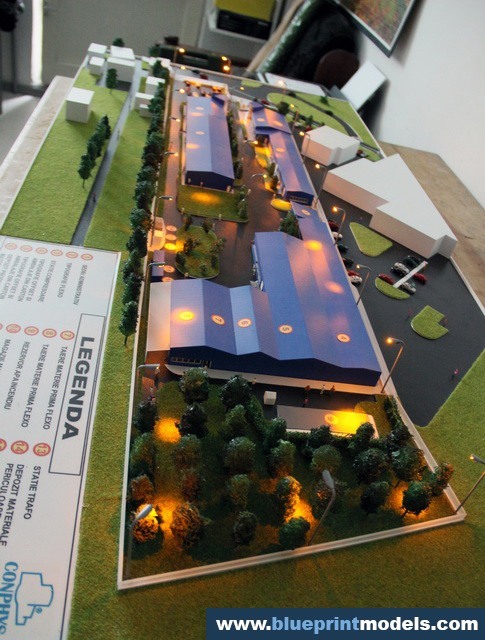 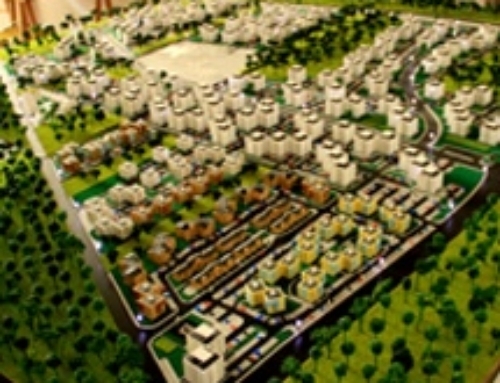 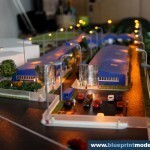 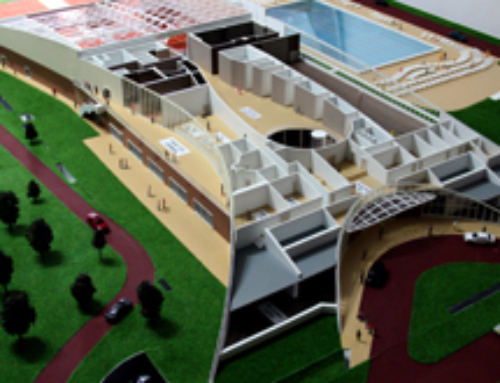 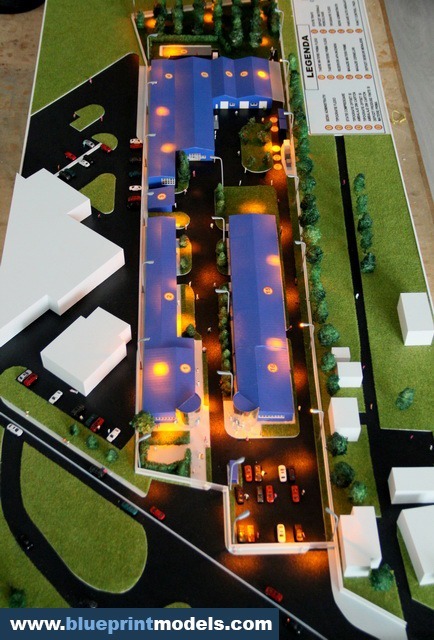 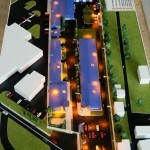 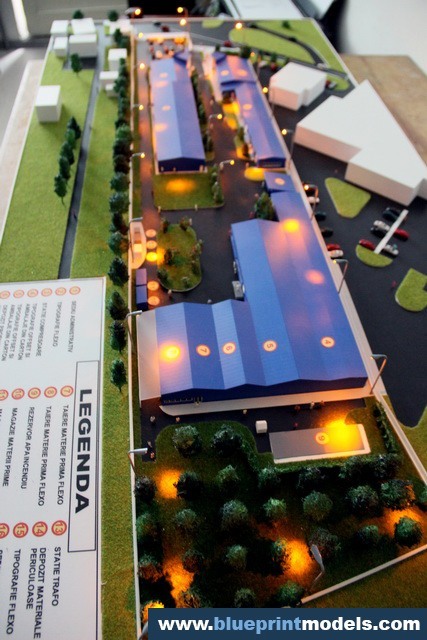 The 1:200 scale model was placed in the reception area of the office building of Conphys factory in Râmnicu Vâlcea.It features all the factory’s structures, including the industrial units and the typography. 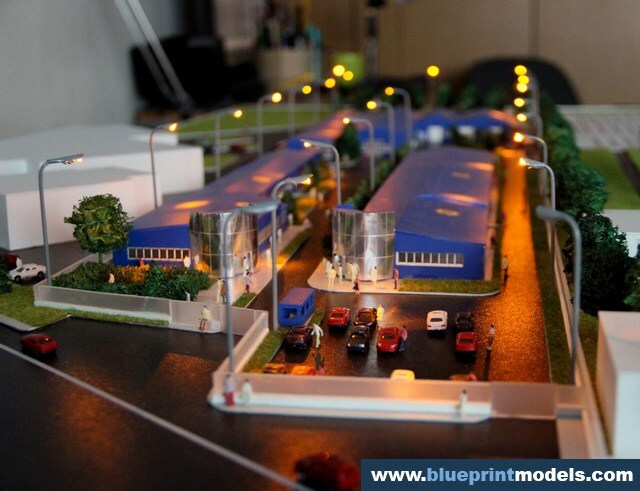 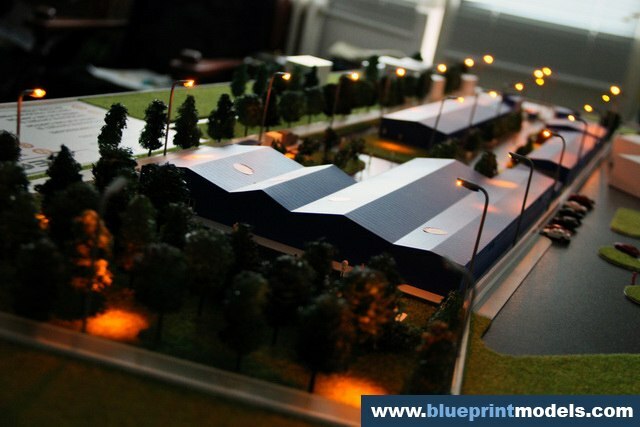 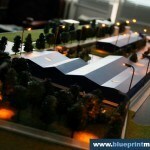 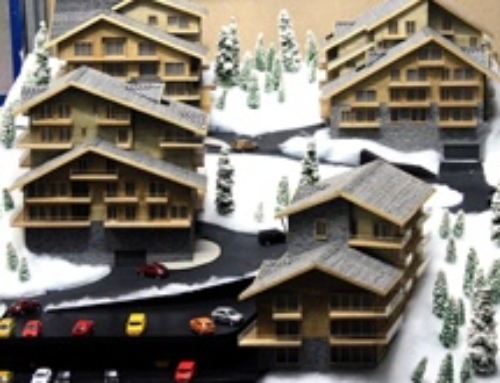 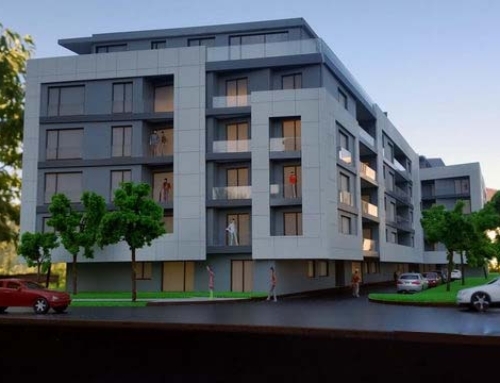 We used blue-painted Plexiglas, black MDF and white forex for the surrounding buildings.Entourage elements include warm light poles, synthetic grass, PVC trees and cars. 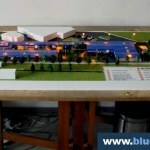 The model is protected by a transparent Plexiglas case. 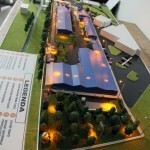 It took 20 days to complete.